Home *WhatsOn Agent Submissions agents' party Agents' Party 2018 Alice Williams Amber Caraveo Becky Bagnall Gemma Cooper Homefeature Sara Grant WhatsOn EVENTS Agents' Party Time! 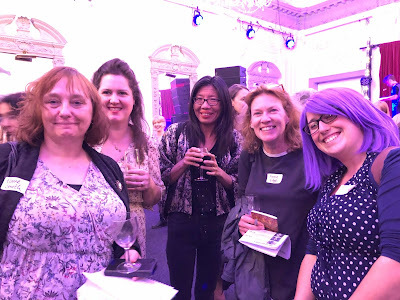 Last Friday afternoon, I travelled down to London feeling slightly nervous – I was off to the annual SCBWI Agents' Party, writes Kate Rosevear. It was the second year I’d been, so I already knew a little bit about what to expect; the first half would be an opportunity to hear the agents discussing what they’d like to see in a submission, and the second half – the scary bit – would be a chance for me, and all the other writers attending, to pitch our books to the agents. Who knew – if we were lucky, some of them might be impressed and ask us to submit our manuscripts to them when they were ready. This year’s party was at a new venue – the lovely, chandelier-encrusted Bush Hall in West London’s Shepherd’s Bush. 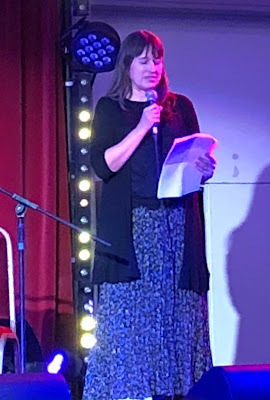 Soon after I arrived and sat down, the evening’s host, Sara Grant, introduced the first panel members; Amber Caraveo (Skylark Literary), Alice Williams (Alice Williams Literary), Nancy Miles (Miles Stott Agency) and Gemma Cooper (The Bent Agency). The first panel of agents (left to right) Gemma Cooper, Nancy Miles, Alice Williams, Amber Caraveo, Sarah Grant (host) and Terri Trimble. Sara kicked things off by asking the agents what information they would like to see included in a submission package. Gemma said that she wanted to be told which other books the submission was similar to (‘X meets Y’), and also liked to see 'a character that jumped out of the page'. Nancy was looking for a succinct elevator pitch, and ‘a strong voice that says something in an original way’. Alice thought a professional approach was crucial, and for picture book writers, two or three texts. Amber said that she wanted to know a bit about the writer, while also pointing out that, really, it’s all about the writing. For illustrators, a spread of pdfs was important, giving a good range of ideas. Sara also wanted to know if the agents had a wish list – or indeed a hate list! Amber was pretty clear that she didn’t want to see any animal stories. However, all was not lost for the animal story writers amongst us, as Alice said that she loved pony books. Nancy wanted to see books in any genre that were fun to read, and Gemma said that her dream book would be something similar to Wimpy Kid. 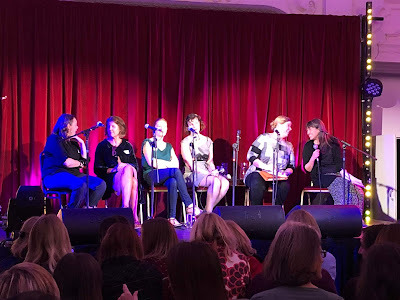 Next, Sara introduced the second panel of agents – Lydia Silver (Darley Anderson), Lauren Gardner (Bell Lomax Moreton), Becky Bagnell (Lindsay Literary Agency), Thérèse Coen (Hardman and Swainson Literary Agency) and Max Edwards (MMB Creative). Fellow SCBWI members L-R: Elaine Smith, Gail Doggett, Tania Tay, Annie Edge and BB Taylor. When asked what they liked best in a pitch, the second panel thought that ‘X meets Y’ was useful, but Sylvia also thought that knowing what made a particular story ‘a bit different’ was important. Becky said that the key to successful pitching, was practice, Max wanted to see what the overall theme and motivation in the story was, and Lauren advised us to ‘keep three things in your minds, that you want me to take away’. Sara then asked what the agents looked at first, when they read submissions. Terri Trimble kicked off the evening. For Lauren, the cover letter was the first thing to look at, while Becky went straight to the manuscript. Max said that we should keep it professional and be sure to get the spelling and punctuation right, as he would be looking for ‘reasons to reject’, and would stop reading if we hadn’t followed the guidelines. Becky, however, gave some hope to the mistake-prone amongst us, saying, ‘I don’t care if you get it wrong, so long as the writing is good’! The second panel (left to right) Lydia Silver, Lauren Gardner, Becky Bagnall, Sarah Grant (host), Thérèse Coen and Max Edwards. When asked what they looked for in a client, Thérèse thought that it was important that she could ‘get on with, and be honest with’ a client, and Becky was hoping for ‘someone who was open to editing’. As Sara kept the questions coming, we learnt that it’s important to think ahead to the next book, and that agents work with international colleagues to sell foreign rights. The agents also thought that there were a lot of benefits to taking a client who had previously self-published, as this helps understanding of marketing and promotion. When the second panel had finished, we all stood up while the chairs were cleared away and then we gathered around the agents’ tables, queuing up for the opportunity to pitch our books. I was lucky enough to get some really good feedback from several agents, who suggested ways I could improve my book, and from more than one agent, I heard the wonderful words, ‘yes, send it to me’! As I travelled home later that evening, my brain whirling with all the advice I’d been given, I kept coming back to what some of the agents had said at the end of their panel discussion; ‘keep writing’, ‘keep reading’, but maybe most importantly – ‘have fun’! Kate Rosevear writes as Catherine Rosevear. She lives in Cambridgeshire with her husband, two children and a Tibetan Terrier. Since taking a career break three years ago, Kate has written a series of children’s chapter books called Roman Magic. 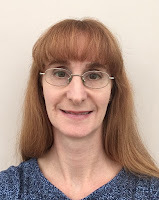 She self-published the first in the series, The Secret of the Wooden Chest, in 2017 and book two, Mystical Moonlight, in 2018. Kate’s now working on a middle grade fantasy novel. She also writes a regular blog, which is mainly about writing (and her dog! ), which can be found at www.catherinerosevear.wordpress.com and she is on Twitter as @cathrosevear. Fran Price is Events Editor for Words and Pictures online magazine. Contact her at events@britishscbwi.org.